Nothing like a Quilt Retreat to energize and relax you at the same time! I had so much fun last week at the Sherwood Hills Resort in Wellsville, Utah, where our quilt guild held our Spring retreat. There were about 50 women talking, laughing, laughing, laughing... and sewing. The treat table had amazing fare (meaning sweets) to keep us fueled through the grueling (right!) hours of 'work', which extended well into the wee hours of the morning for some of the more determined ones. Hiking before breakfast, sewing in the morning, a light lunch, more sewing, shopping at Village Dry Goods in Brigham City, or My Girlfriend's Quilt Shoppe in Logan, dinner at Maddox Ranch House in Perry, Utah... What else could we ask for? 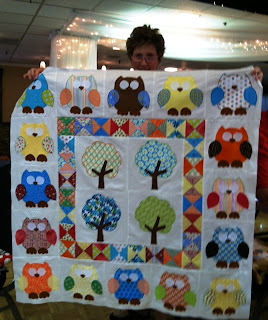 I've never been to a quilting retreat. It's on my bucket list.